Hulu is close to signing new rights agreements with its content partners, according to a report at AllThingsD. The deals with ABC, (s DIS) Fox (s NWS) and NBC (s CMCSA) (s ge) could be completed within the next week, giving Hulu several more years of streaming rights for broadcast shows online. However, given how the industry has changed over the past few years since Hulu’s launch, the terms are also likely to change. Here are a few things we expect from Hulu’s new broadcast content agreements. 1. Rights will be non-exclusive. When Hulu was first launched, the broadcast networks were primarily competing against piracy — that is, people downloading their content from torrent sites for free. At the time, offering a free, ad-supported and high-quality version of the shows they wanted to watch was a great alternative to not getting paid at all. As a result, founding members NBC and Fox (and later ABC) agreed to exclusively license their first-run content only on Hulu and their own network sites. But since then, the market for digital video has exploded, and there are a lot more providers that would be willing to write big checks for on-demand video content. Netflix, (s NFLX) Amazon (s AMZN) and even possibly Apple (s AAPL) could bid for rights to select in-season content. And the networks won’t want to restrict those new potential revenue streams. 2. Distribution windows will be less favorable. Most programs show on Hulu up the day after they air live on TV. Some programmers might be wary of keeping that window in place, thinking they could get more viewers to tune in live if they held off Hulu availability for a few more days or weeks. Already Hulu has shown a willingness to bend on this front, striking a deal with Viacom (s VIA) that delays the appearance of shows like Jersey Shore and Tosh.0 several weeks after they’ve aired live. We doubt ABC or NBC would hold onto a piece of content for several weeks — Hulu was mainly built for catch-up viewing, after all — but not making shows available until several days after they’re broadcast wouldn’t be totally inconceivable. 3. We’ll see less content for free on Hulu, but slightly more on Hulu Plus. At the same time that broadcasters extend the amount of time that viewers will have to wait to catch up on a particular TV program, they’re also likely to reduce the number of episodes that a viewer can catch up on at a time. Today, Hulu is generally able to stream the last five episodes of any series, while the BBC iPlayer only lets viewers watch the last seven days of programming on demand. We doubt U.S. broadcasters will reduce the amount of freely available content by that much, but we can imagine a world where Hulu has only three episodes of catchup viewing instead of the standard five. The tradeoff might be that Hulu is able to negotiate more content for streaming on its Hulu Plus subscription service, which viewers pay $7.99 a month for. 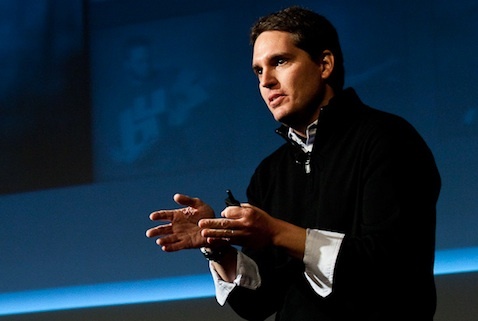 Wild card #1: Will Hulu CEO Jason Kilar stay on board? Hulu CEO Jason Kilar has been widely lauded for his ability to build a successful web video business while also navigating the difficult waters of having stakeholders that are also Hulu’s content partners. What’s best for investors ABC, NBC and Fox isn’t always what’s best for Hulu, after all. But things got tense after Kilar released a manifesto about the future of TV that left a few of his content partners a little peeved. Apparently, things have settled down since then, but according to MediaMemo, Kilar’s contract is up in July. With new content deals in place, will he stick around and try to build Hulu into as much of a success as he can under somewhat limiting circumstances? Or will he move on to a company that might have a little more independence? Wild card #2: Will Hulu try again for an IPO? Hulu was abuzz with IPO talk in the latter half of last year, but put its plans for going public on hold in December. The main reason cited for its decision to remain private was uncertainty around streaming rights past this year. But by getting a multiyear deal done with its content partners, Hulu’s plans to go public — and to become a little more independent — could be back in play. Wild card #3: Will Hulu become part of TV Everywhere? This one’s a bit of a long shot, but it’s still a possibility worth exploring. ABC, Fox and NBC are all seeking to increase the retransmission fees they receive from pay TV operators — at the same time that they’re giving away the same content “for free” on their own network sites and Hulu. But as we’ve argued in the past, Hulu could provide value to those broadcasters by adding a login system that would keep out non-cable subscribers or at least limit the amount of content they can watch for free. That would please distributors, and it would also help boost retrans fees for broadcast networks that ensure only those that pay for cable can actually view Hulu content.